Have Tri Star Kia’s trained and certified technicians work on fixing your vehicle to get you back on the road. See our current monthly offers on new Kia vehicle’s today. When shopping for a used car, choosing Kia Certified Pre-Owned provides you with an impressive and reliable vehicle that enhances your lifestyle and fits your budget. 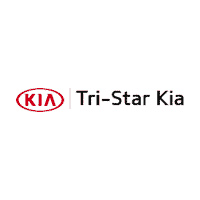 Tri Star Kia, in Blairsville, PA, treats the needs of each individual customer with paramount concern. We know that you have high expectations, and as a car dealer we enjoy the challenge of meeting and exceeding those standards each and every time. Allow us to demonstrate our commitment to excellence!